Forget banana bread. From now on when I have bananas lying on my counter on the verge of disgusting, they’re going into cheesecake. I’ve never been impassioned by plain cheesecake, preferring to drown mine in cherry topping or fresh strawberries. The fruit makes the dessert healthy, right? I also enjoy throwing fruit into the cheesecake itself and opting to drown the cheesecake in caramel sauce, apparently. This recipe is especially wonderful because the cheesecakes are in individual containers–no fighting over who gets the bigger slice. This recipe comes from Tasting Table. When it arrived in my inbox, I swooned. Audibly. 1. In a large, heatproof bowl, combine the cream cheese with the banana purée and place the bowl above a saucepan of simmering water. Stir the mixture until the cheese melts. Meanwhile, in a small bowl, sprinkle the gelatin over the water and let it bloom for 1 minute. 3. Whisk the gelatin into the banana mixture until well-combined. Remove the bowl from the saucepan and add the salt. Whisk in half of the cream mixture, then, using a rubber spatula, fold in the remaining cream mixture. 4. Divide the batter among six glass cups. Gently tap the glasses to settle the filling and whip any excess from the sides. Cover with plastic wrap and refrigerate for at least 3 hours or overnight. 5. To make the sauce, in a medium saucepan, combine the sugar with the water and cook over medium-high heat, without stirring, until dark amber, about 8 minutes. 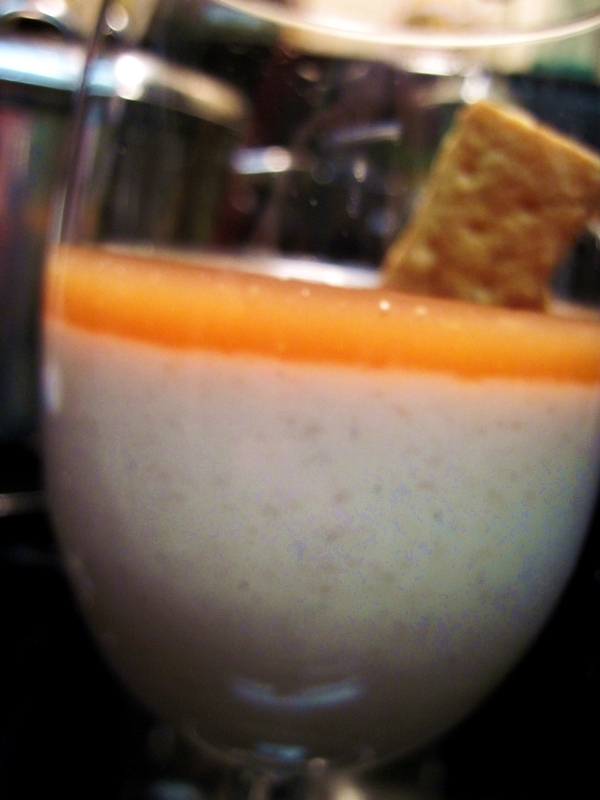 Turn off the heat and carefully whisk in the cream. Whisk in the butter, then the rum. Transfer the caramel to a heatproof container, cover and refrigerate for 30 minutes. 6. 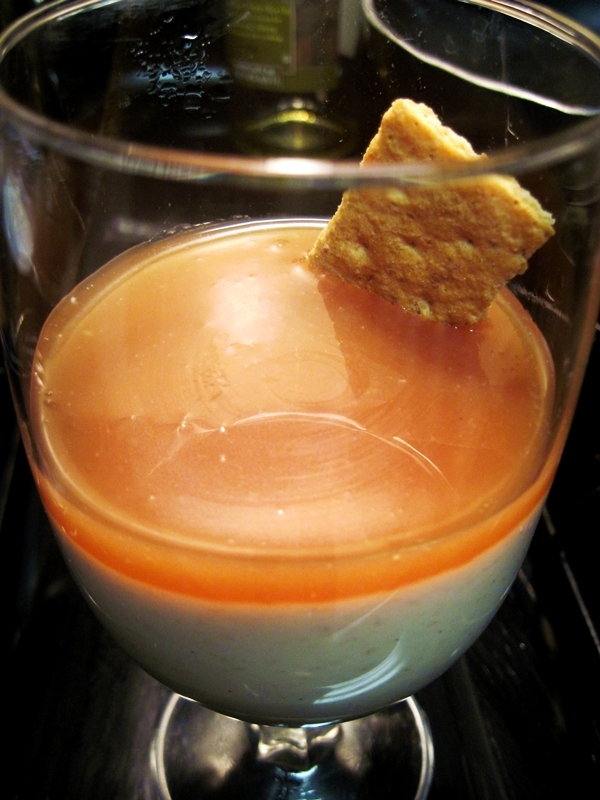 To serve, drizzle the cheesecakes with the caramel sauce and garnish with graham cracker. By the way, there will be leftover caramel sauce. It tastes good on a spoon or on ice cream. How versatile.